So last time I had a laptop it just had crappy integrated graphics. I got 2 new ones for my nephew/niece with geforce 1060s in them. Anyway, I assumed that these cards would be the sole gfx processor. I was wrong. It apparently has integrated as well. They're 13 and 15 and not super tech savy and I don't want to play phone tech if I don't have to so I want to, if possible, tell these laptops to only ever use the geforce. I think I found the proper way to set this, but I thought I'd see if anyone has done this before too. 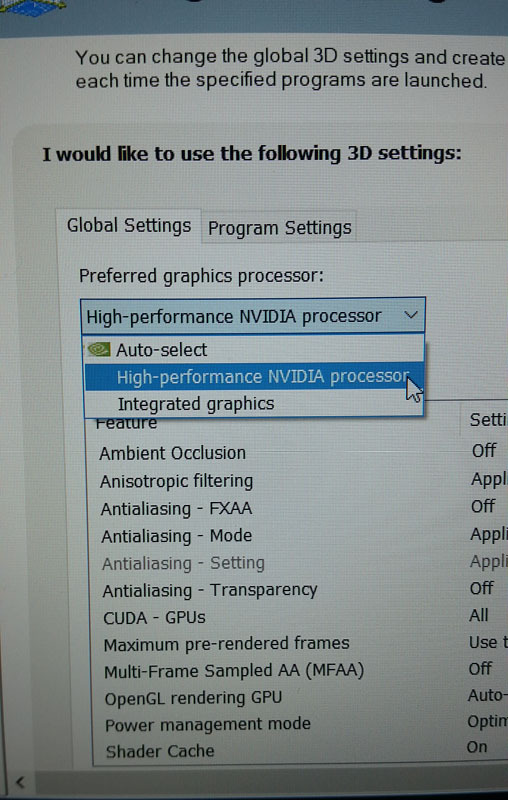 Going through nvidia control panel, in the 'global settings' I've chosen the geforce for preferred gfx processor. 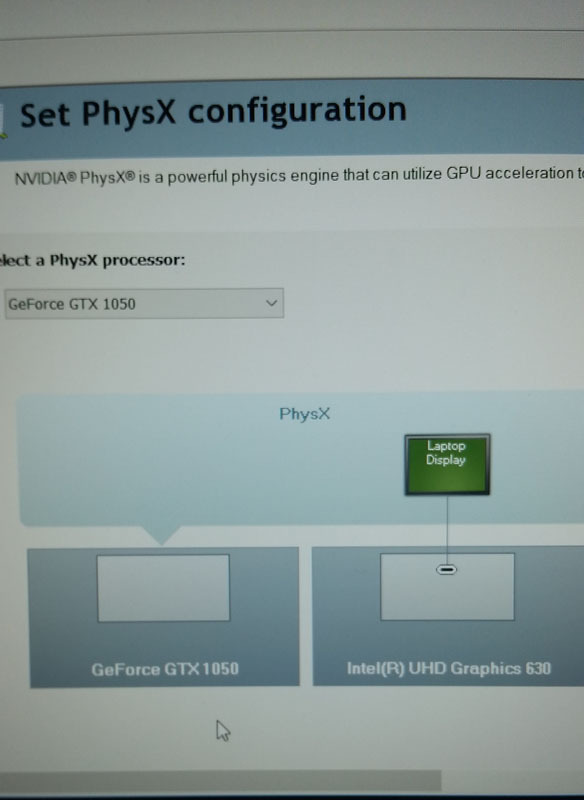 Likewise, under PhysX config. Does this sound correct? Is there a more direct or simple way to shutdown the use of the integrated graphics? You should be good to go barring some weird glitch or problem with your settings activating. So do you mean keep my current "forced" setting, or return to "auto-select"? If you want the cards to always be on, use the forced. But the optimus tech is pretty good now at recognizing when to turn on the discreet chip. Leaving it on auto will improve battery life for when they aren't playing games. It really only gets into trouble and needs manual program-by-program tinkering with some older stuff. Understood, thank you for the info. Greatly appreciated! how does this laptop look for general use and gaming?